Tents, Tables and Chairs, Party Accessories...and more! Apex Tent Rental has clean, well-maintained tents for every event. Choose from a variety of sizes or let Antonina Greenwood, owner, help you choose just the right size for your event! She only uses the most trusted, top -of the- line products in the industry! And it’s all right here under one roof: tents, bleachers, seating, and all your party needs. 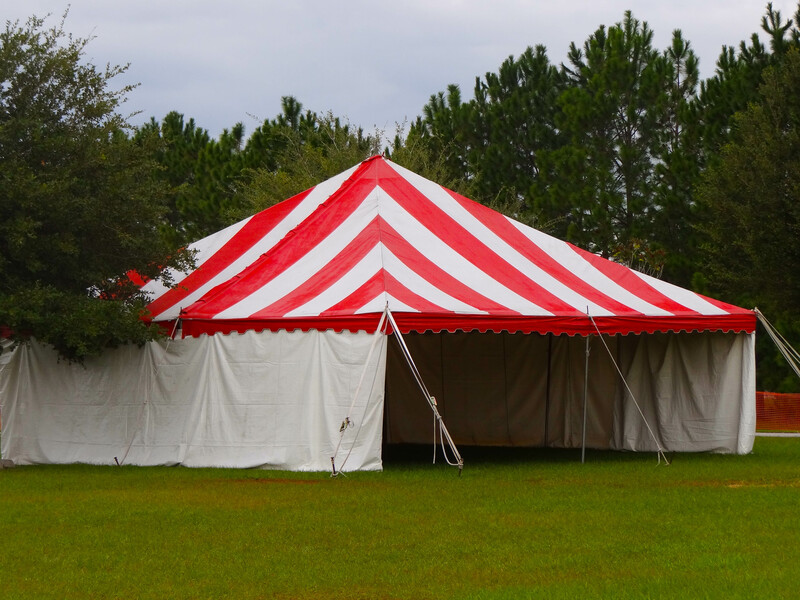 Our pole tents can be setup on grass or pavement and require center poles and stakes to secure them. . Our larger pole tents can be expanded to almost any length to accommodate large parties and events! If you don't like the idea of a center pole or driving stakes into the ground to secure the tent, our frame tents might be the perfect option. Our frame tents do not require a center pole or stakes to secure them. Instead we secure these tents with sandbags, so no drilling into the pavement is needed. If you need ANYTHING for your party, event or celebration, Apex can provide the most trusted, durable products in the industry. Call Apex at (941) 723-1822. We really want to cover your next event!! !